York Simcoe Express goaltender Andrei Berezinskiy has been awarded the Tim Adams Memorial Trophy, given annually to the OHL Cup MVP. 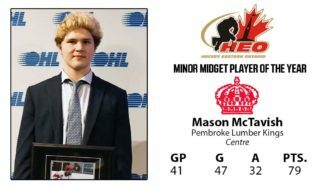 Berezinskiy played to a 5-0 record with a 2.09 goals-against average throughout the 2016 OHL Cup, headlined by a 39-save performance in a 2-1 double overtime win over the Toronto Marlboros at the Mattamy Athletic Centre. 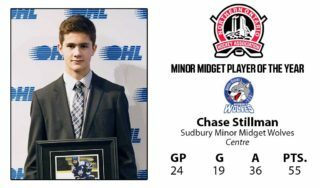 The 15-year-old becomes the first goaltender since Jhase Sniderman of the Toronto Young Nats in 2003 to earn MVP honours, backstopping the Express to their first OHL Cup title since 2004. Berezinskiy earned Player of the Game honours three times throughout the showcase, backing the Express to a 4-2 win over the Toronto Red Wings to open their Round Robin schedule. The athletic 5’8″, 135Ib. 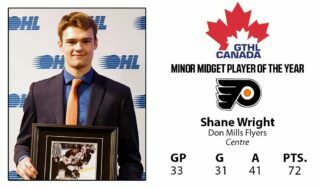 netminder played a central role in York Simcoe’s 4-1 Semi-Final win over the Don Mills Flyers to earn the distinction once again before being named Player of the Game in Monday’s Championship finale. 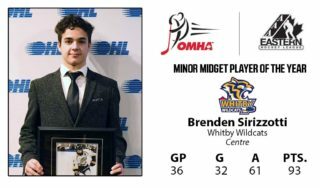 Berezinskiy is the first York Simcoe Express player to earn OHL Cup MVP honours since Harrison Reed received the award in 2004. Tim Adams was a graduate of the Greater Toronto Hockey League and a long time coach of both the Toronto Marlboros and Toronto Young Nationals. 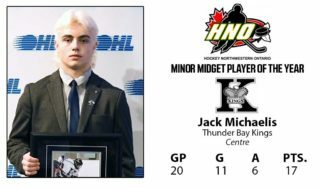 His life-long commitment to minor hockey truly demonstrated his passion for the game. Tim was unfortunately taken from us at an early age after a courageous battle with cancer. Presenters of the award in 2016 were his three children Sarah Adams, Bryan Adams, and Alanna Keene.